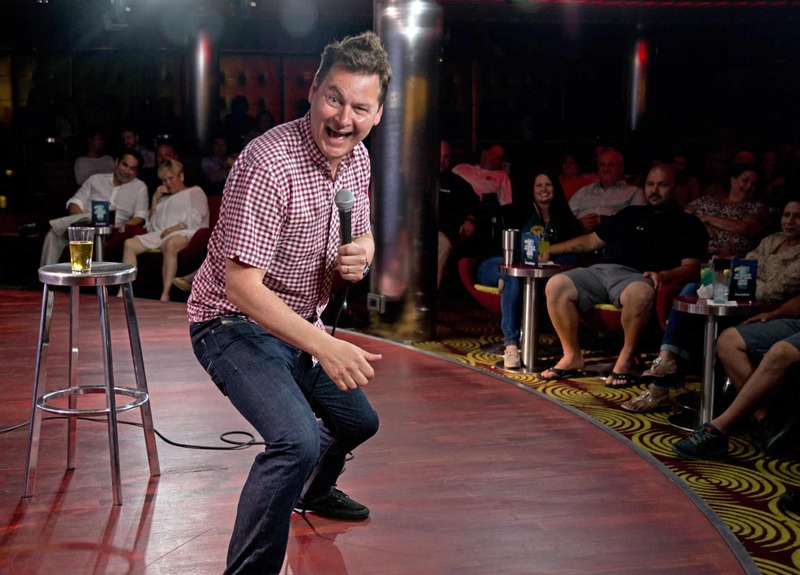 Carnival Cruise Line will provide its guests with more laughs than ever in 2017, hosting a record 25,000 shows at its Punchliner Comedy Clubs featured across its 25-ship fleet. Boasting more comedians and performances than any land-based comedy club in the U.S., Carnival’s Punchliner Comedy Clubs feature a hilarious lineup of top-notch comedians who perform 30-minute shows multiple times each voyage with at least two comedians performing each night. All shows are offered on a complimentary basis. Two early-evening PG-rated shows offer all-ages fun for the whole family while later performances feature more R-rated, adult-oriented comedy. Approximately 10 shows are presented during short cruise itineraries and with roughly 20 shows per cruise on longer length voyages. “Our guests love to laugh and have fun and the Punchliner Comedy Club is by far one of the most popular venues on board with both established and up-and-coming comedians who keep audiences laughing and entertained,” said Sarah Reno, Carnival’s vice president of entertainment. “Plus, many guests have never been to a comedy club so this is a wonderful way for them to try something different and check out an entirely new form of entertainment,” she added.